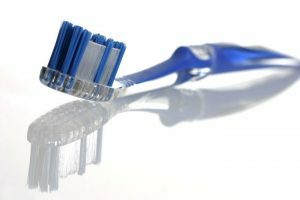 Simply brushing your teeth is not an effective solution for preventing tooth decay and erosion. The general dentistry team at ValleyFair Dental Clinic in Maple Ridge recommends dental sealants, which give teeth solid protection against the bacteria that infiltrates your mouth and causes cavities. Sealants are made of durable, stain-resistant plastic and are bonded to the grooves of your teeth. After a dentist at ValleyFair Dental seals the tooth, the grooves are smoothed down and make it hard for plaque to build. Sealants make brushing teeth easy and efficient. Dental sealants are safe for children and are a great way to prevent tooth decay after their permanent teeth have erupted. Sealants, however, can only be placed on healthy teeth. Sealing permanent teeth is much more common that sealing baby teeth; however, each person has different needs and your local Maple Ridge dentist at ValleyFair Dental can tell you if dental sealants are a good option for you or not. To learn more about dental sealants, or to book an appointment with your local Maple Ridge dentist at ValleyFair Dental Clinic to reseal your teeth, contact us today!